We also use ZMP as a platform for Autonomous Driving technology development on public roads, products that are accumulating our own achievements. Demonstration experiment of ADAS and Autonomous Driving actual vehicle test or Autonomous Driving service. "RoboCar MiniVan" is based on a commercially available hybrid minivan vehicle, and is equipped with a vehicle type experimental apparatus (a main body of a vehicle (hereinafter referred to as a vehicle body)) in which a control device of a ZMP is incorporated so that a user can control by putting a control signal from an external device (PC or dedicated device) and packages including development environment. In general, it is possible to control vehicles controlled by the driver (stepping on the accelerator / brake and turning the steering wheel) from the user's computer or dedicated device, so in the field of Autonomous Driving and development of ADAS (Advanced Driving Support System) and software development and verification on a real vehicle. 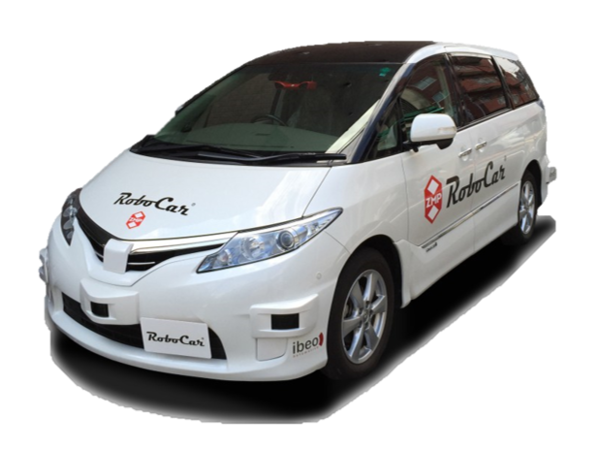 RoboCar MiniVan can acquire values ​​of sensors etc. (CAN information such as vehicle speed, 4-wheel speed and steering angle etc.) 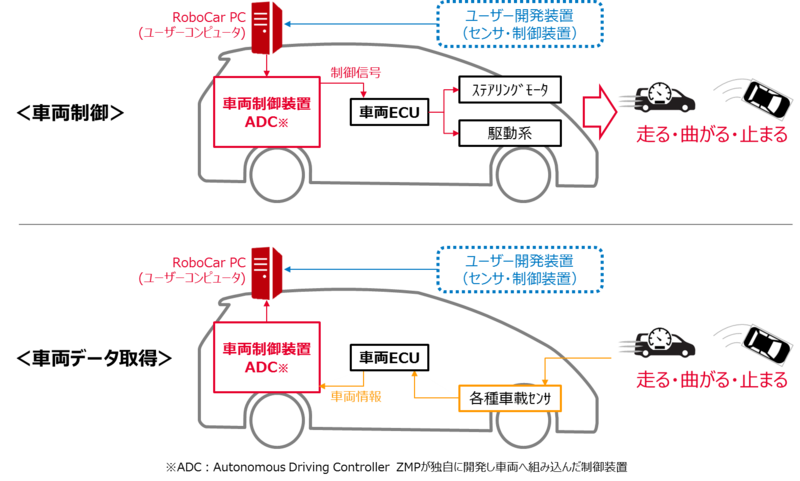 mounted on the vehicle as standard, and from the PC and other external devices to the in-vehicle network CAN (Control Area Network).It is possible to control the vehicle by inputting operation signals such as accelerator, brake, steering, etc. 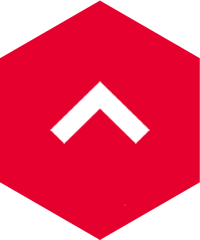 In addition, APIs and sample applications for inputting data and inputting operation signals are also provided as standards, so we provide it as a platform that can build a vehicle control program immediately after introduction. It is also possible that as usual driver operate further for a vehicle control and driver operation while being computer-controlled, intervention also provides "override function" carried over to the driver operation, ADAS/Autonomous Driving is suitable for experiments. In the fields of development and experiments of ADAS and Autonomous Driving , testing on actual vehicles is indispensable. However, in the case of commercial vehicles, running, bending and stopping operations from external devices can only be controlled by the driver operating accelerator, brake, steering, etc. Therefore, in ZMP by providing RoboCar MiniVan, which is a set of functions and development environments based on a commercially available hybrid vehicle based on computer control, it is possible to develop a vehicle that can be controlled from the outside in a development process (design - procurement - remodeling,we release customers from the trouble of testing), we propose to accelerate the development of ADAS · Autonomous Driving using real cars at once. Also, since RoboCar MiniVan is based on a minivan type of 7 to 8 passengers, it has the following advantages. In addition to the boarding space, the loading space of the experimental equipment can be secured, and it is possible to install large systems and cooling equipment for advanced research and development. It will make it easier to develop and verify new mobility means for tourists and the elderly.